According to Paracelsus, the Ens is among the most powerful medicines, and yet one of the easiest to make. The ens, or entia (plural), is an influence, or principle that effects us, and is a definite spiritual, psychic, or physical thing. While five such principles are designated as creating illness within us, the ens tincture, created from the Vegetable Kingdom, can be used to correct these imbalances and bring us physical and psychic health. “The only initiation which I preach and seek with all the ardour of my soul is that by which we may enter into the heart of God and make God’s heart enter into us, there to form an indissoluble marriage, which will make us the friend, brother, and spouse of our Divine Redeemer. There is no other mystery to arrive at this holy initiation than to go down into the depths of our being, and not let go till we can bring forth the living vivifying root, because then all the fruit will be produced within us and without us naturally.” -Louis Claude de St.-Martin, 18th century French mystic and philosopher. It is this initiatic aspect then, that we seek when we create and ingest the Ens of a particular plant. Authorities seemingly disagree on the nature of spagyric medicines when it comes to this point. At least one authority claims that initiation is the sole goal of alchemical product. Others, particularly Frater Albertus, Bacstrom, and Manfred Junius suggest that powerful medicines for physical illness may be produced using the alchemical process. A middle ground has also been offered, stating that the creator of the product realizes more of a spiritual benefit from its ingestion, while another may realize more of a physical benefit from its use. 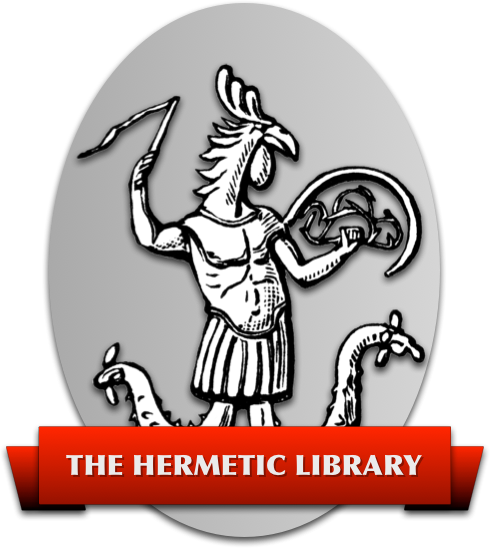 Hermetic tradition and tales also suggest this, as well as the possibility of the recipient, who has not assisted in the medicines creation, reacting much more strongly at the sudden increase in their overall vibratory rate, some even violently in the case of the higher and more potent metallic and mineral medicines. As a qualifier, it might be that anyone who does not involve themselves in spiritual or esoteric activities on a regular basis will find either a more physical reaction, or a more violent shock to the effects of the medicine. If initiation then is the goal objective of the ens, what then is initation? Why should we seek it? The nature of esoteric initiation is often misconstrued by those who seek, and even often, by those who would pretend to grant it! Suffice it to say that the initiation is the beginning of a new aspect of our interior development. One may have interior experiences; however, initiation sets them apart by making them progressive in their function, intensity, and purpose. Thus, one can say, that the whole of initiation is to assist us in having and understanding our progressive interior experiences. This however can be a bit of a stumbling block. Many schools, orders, and societies offer initiations into their various degrees, complete with beautiful rituals, titles, and what not. 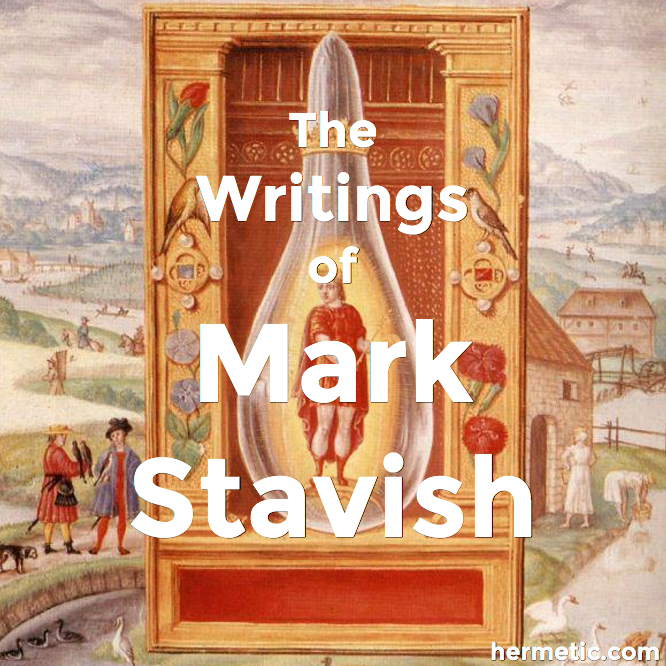 However, the student of alchemy, will most likely have realized by the time they begin their alchemical studies, that these exterior initiations are but ritualized shadows, imitations, promises of things to come, for real, true, and lasting initiation is only had from within. But then we ask, are the two always separate? Are all external rituals essentially poor imitations of an interior state? No, by no means is that an absolute. Unfortunately, for a ritual initiation to work, to have its intended effect, the initiator, or initiators if it is a large ceremony, must be higher in psychic vibration than the one receiving the psychic impulse. In our modern society, this is rarely the case. Since alchemy has no set rituals, no lodges, or methods of advancement other than the Work itself, all initiation is said to be interior in this form of esotericism. We initiate ourselves into the Work, and the Work initiates us to higher (and deeper) levels of consciousness. To those who would object to this statement, ponder just this one question: “Are we not always our own initiator?” That is, are we not solely responsible for our starting, progressing, and finishing the Path? Is it not our own Higher Self that prompts us onward? It is from this Higher Self that in meditation, dreams, and sudden flashes of lucidity and clarity that we are initiated; initiated that is, back into the presence of our True Self, the center and origin of our Being. In this light, an initiation may come to us, and it may be completely devoid of ritual or ceremony. It may be a sudden event that changes our life completely, and directs inward. It may even be a veritable incarnation of a kabbalistic or alchemical pathworking, unfolding around us. In the end however, as the word implies, initiation is only the beginning of the new stage of development, and that phase is only completed when we have been initiated into the next phase, at the hand of our Interior Master, our very Soul. It gives us little good to go around collecting ritual initiations at the hands of would be, or even authentic masters, as these are not things which one can hang on the wall like a diploma. It is best if we focus our energies on a singular path, and complete it, instead of running around looking for shortcuts, and getting nowhere. We then, as ego’s seeking the interior state of the spiritual, can only prepare ourselves for initiation, present ourselves at the door of the interior Temple, and knock. It is said, “Knock and it shall be opened to you; ask and it shall be given.” We may knock, ask, wait in patience and silence, but never demand. True interior initiation comes but once, and is experienced only once, for that is all that is needed, as it creates within us a permanent change in consciousness. A permanent change that is at once expansive, unitarian, comprehensive, and evolutionary in nature. It is an ever expanding upward spiral of what Israel Regardie called, Light, Life, Love, Law, and Liberty. How many initiations we experience is dependent upon our chosen path, be it alchemical, kabbalsistic, or both. But even here, the idea of division is more of a function of our exterior consciousness than our interior awareness. We consume both spiritual food and material food in small does so that we do not choke or get indigestion, yet at the end of the meal, all of the needed food for our growth and survival is consumed. Initiation is the same, in that it is a small chunking of a larger piece of Life Consciousness. We receive in interior initiation exactly what we need for our growth, no more, or less. How many of these small spoonfuls of life we swallow depends on our chosen interior Path and the degree of progress we make on it. Thus, once again, the obligation and responsibility is ours. In summary though, it might be said that we can be expected to experience an initiation for each plane of Awareness, and one for each of its sub-planes. How this works out mathematically is up for debate. One school of thought suggests that there are twelve planes, seven major, five minor, with each having its own sub-division of five planes, for a total of sixty levels of Being progressively available to us. However, each time we experience an initiation, there is in reality only One Being that is experienced, and our awareness of that One is expanded. To be concerned with the numbers or one’s place in creation before it is revealed to you is to feed the ego, not the soul. Kabbalistic schools suggest ten planes of awareness, as do some Buddhist schools, with each one divided into four sub-planes, with a singular unifying plane at the end. Thus, each sphere can be said to have its own Earth, Water, Air, Fire, and Spirit aspects. Each plane corresponds to a planetary level, quality, or power, with the exception of the first two. In kabbalah, they represent the original primordial unity, and its expansion as the first phase of creation. Hereafter, they take on the symbolic planetary titles of Saturn, Jupiter, Mars, Sun, Venus, Mercury, the Moon, and the Earth. The nature of spagyric tinctures, and in particular the ens, is to clear out the blocks in our psychic makeup and anatomy, similar to what is called nadis in yoga or the meridians in acupuncture. This subtle anatomy allows for the exchange of information between the dense physical world of matter, the end point of creation, and the subtler psychic world of which it is an extension. In creation there are no breaks, gaps, or holes, such exist only in our knowledge or realization of Nature. By effecting change on this subtle in-between level, often called etheric, we can increase the flow and quality of energy from these slightly finer worlds ‘above’, to our physical world ‘below’. With each corresponding increase in intensity, an initiation can be said to have taken place, if of course, the energy becomes permanently available to us, and is not just a temporary jump to a higher level. W.E. Butler states that the these psychic nerve channels exist in the planet as well as humanity, in the form of ley lines. The natural power of creation, or kundalini, as it is called in Sanskrit, is the force which continually changes all of creation, moving it forward to more and more refined levels. When we create and ingest spagyric or alchemical products, we are assisting Nature, in the quickening of our personal evolutionary process. Like our basic tincture previously described, an Ens tincture can be made for each of the seven planetary rulers, for each day of the week. Thus, it is through the herb, ruled or influenced by a particular planet, that we seek initiation into the sphere or world ruled by that planet. However, unlike a plant stone, which we discuss next, the Ens has a lesser initiatic power, although it is still quite surprising. In the plant stone, the four aspects of the elements of Earth, Air, Water, and Fire are in balance. In the Ens, the Fire element is predominant, for reasons which we shall see. The advantage lies however, in the simplicity of their creation, allowing anyone, regardless of their level of experience, to create an Ens tincture. From another perspective, the Ens may be seen as comparable to Elilxers, in which the tincture has been ‘exalted’ through repeated processing and in which its calcined Salts have been added to the procedure. However, elixers almost always contain several species of plants as well. While several methods exist for the creation of the Ens, the following method is easy, safe, and requires no special equipment. The same materials are used as previously described. In addition, about 1 ½ pounds of potassium carbonate will be needed, and a glass dish no less than one inch deep. Spread the potassium carbonate in a thin layer inside the glass dish, no more than ¼ of an inch thick (~1 cm.). Caution should be taken to avoid exposure to the potassium carbonate in either its dry state or when it becomes liquified through exposure to the night air. It is toxic and can cause a rash, or burning of the mucous membranes. Wash your hands thoroughly after handling to avoid any accidental exposure or contamination of your eyes or other sensitive areas. The potassium carbonate will also etch the sides of the glass container it used during this experiment. Place the tray in an area where it will be exposed to the night air. As potassium carbonate (or Salt of Tartar) liquefies (becomes deliquescent), it absorbs the water carried in the night air. This water, or humidity, is the vehicle of Universal Fire, called prana (in Sanskrit), and is most easily obtained in the spring and summer months. This Universal Fire is what sets both our personal and planetary Kundalini into action on various levels. Those with kabbalistic training in ritual magic will see a similarity in the idea presented here with the Elemental attributes of the so-called magic circle. The Prana, (Ruach in Hebrew, Spiritus in Latin) is the Vital Life energy carried in the Air (the East) from which we extract the vital principle, or experience it as Fire (the South) by means of Water (the West) and capture it in the physical medium of the Earthly herb (the North). Decant or filter off the liquid each morning, being sure to avoid its exposure to the sun, or a direct water source, such as rain. To do this, use either a syringe, large dropper, turkey baster, or lab pipette. Caution: Never pipette by mouth!! When four to five ounces (150-200ml) have been collected, you can begin the first ens tincture. To avoid too much loss of this precious liquid, through filtering, you may want to collect it in a jar or flask and then filter it all at once prior to use. Remember: it will etch the glass it is stored in as well. Make sure you seal the storage jar tightly to prevent the liquid from absorbing any additional fluid from the surrounding air. Place one ounce (52 grams) or between 50 and 60 grams of finely ground herb in a fresh jar and pour in the clear fluid you have collected and filtered. Once again, remember that beginning the operation on the planetary day and/or hour of the planet ruling the herb will assist you in your Work. Pour in enough fluid to cover the top of the herb and to allow for thorough shaking. Depending on the dryness or absorbent nature of the herb chosen, this can be from 100ml to 200ml of the collected “Oil of Tartar” per herb for adequate coverage. If any “Oil of Tartar” remains save it for future use. Pour in an equal amount of grain alcohol and shake daily to insure the two liquids mix as the lighter alcohol will float on top. This alcohol will be the Ens tincture that is removed after the fluid turns a dark reddish color. Remember! The “Oil of Tartar” is caustic and will be unpleasant if swallowed. Because of the magnetic nature of the deliquescence, it is important that the lid be non-metallic, or that the mouth of the jar be wrapped in plastic food wrap prior to sealing. You may also wish to wrap it in aluminum foil to limit or reduce the amount of psychic contact the liquid receives. Take ten or at most twenty drops in a glass of preferably distilled water on the day ruled by the planet of the plant in the hour following sunrise, or if this is not possible, then in any of the other three planetary hours occurring that day. As before, you may consecrate it prior to consumption with kabbalistic or astrological rituals, as you would do for a talisman. Because the ens is an initiatic product, it will have an effect on subtle or astral body of the user. Note carefully your dreams in a notebook, as well as the phases of the moon, and any other psychic or coincidental occurrences that may happen. For those not wishing to create all seven of the Ens at once, the following may be taken into consideration when picking a plant for your first time. You may pick a plant based upon its planetary sign, such as one for a quality that you are deficient in. A Moon ens will open up the psychic world, that of Yetzirah, and Yesod in particular. It may also be used with Pathworkings involving the Moon, the 32nd, 30th, 28th, and 25th. An Ens of Lady’s Mantel (Alchemia) will open up Netzach-Venus, and give information regarding plant alchemy, hence its official name - Alchemia. An ens of the Sun will assist in awakening intuition, self-mastery, and the sphere of Tiphareth in Yetzirah. It may even give glimpses of the Briactic World (the World of Archetypes/Higher Mind). It may also be used in Pathworkings involving the Sun. An ens of Saturn, particularly Horsetail, may be used in the 32nd Path, opening of Briah-Saturn in Yetzirah, and may even give glimpses of the Briactic World and Eternity itself. In his biography of Paracelsus, Franz Hartman quotes an unknown manuscript, allegedly in private possession, in which Paracelsus described the creation of the Melissa Ens and its virtues. In a footnote to the above material, Hartman quotes Lesebure, a physician of Louis XIV of France, and his “Guide to Chemistry” (Chemischer Handleiter, printed in Nuremburg, 1685, page 276), in which Lesebure describes the following account of an experiment he claims to have witnessed regarding the extended use of the Primium Ens Melissae. According to one modern manuscript on alchemy, a similar experiment with melissae using a different method of extraction, produced a milder and less violent reaction in the hens it was given to, while increasing their egg weight and production. While this is not being said to encourage extended use of the tincture, it is from stories such as these that we have the legendary healing and rejuvenating qualities of alchemical products. This is part two in a three part series of articles on simple and practical plant alchemy adopted from the forthcoming book A Short Course in Plant Alchemy by Mark Stavish, M.A.